TravelPhotos.Asia is a website owned by Travel Photos Pty Ltd, and owned and managed by Andrew. 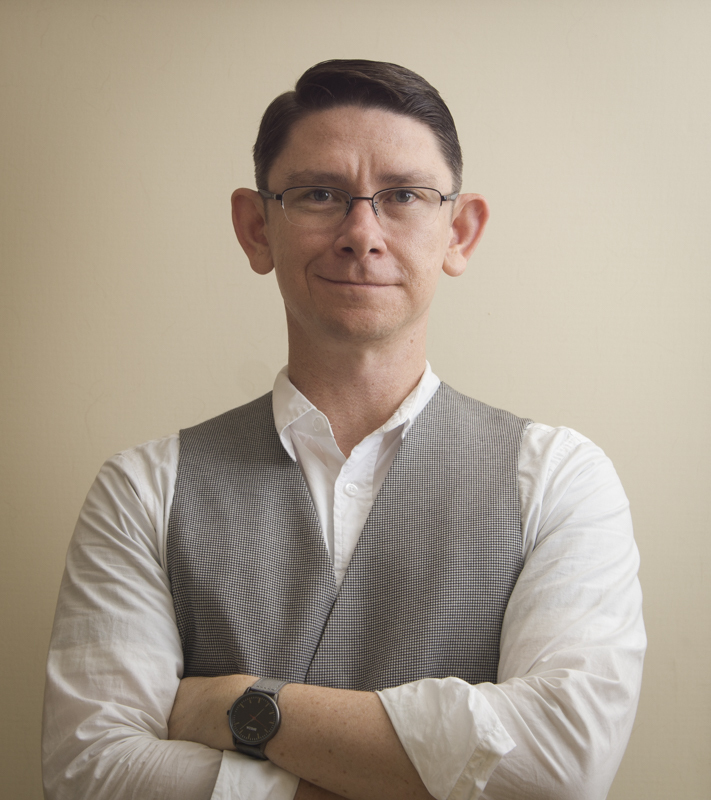 Andrew is a professional travel, portrait, and culture photographer based in Melbourne Australia and operates mainly in Japan and other Asian countries. He has two decades of international travel experience, and lots of research, preparation, problem solving, and networking skills that sees him always get the job done, even under difficult circumstances. He takes pride in solving problems for people, and being always able to move things forward to a positive conclusion. Since he was a teenager, Andrew's aim is to capture authentic beautiful images that best represent a place and a people with respect and dignity. 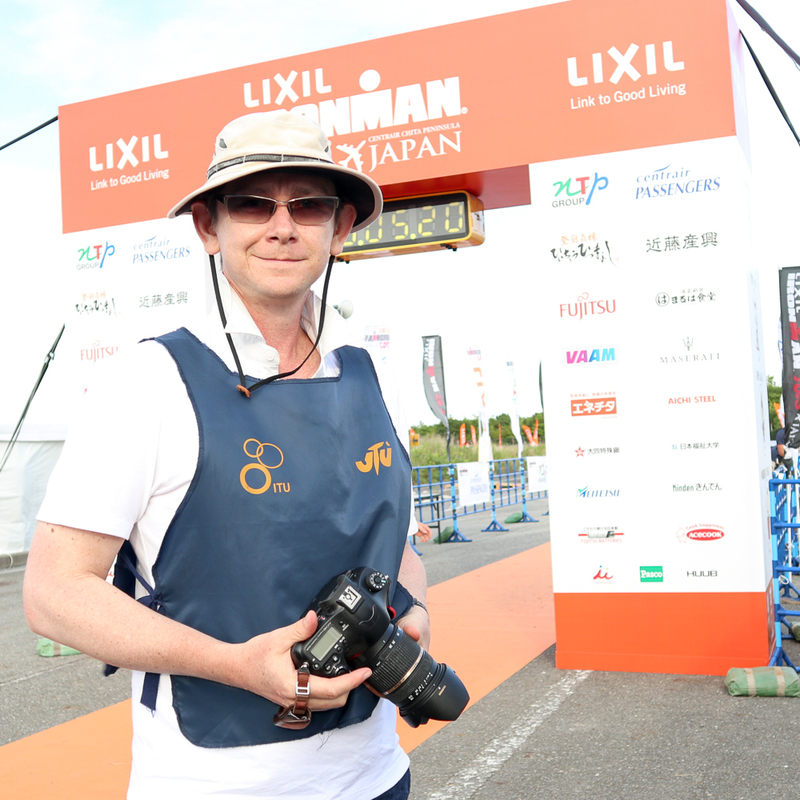 He especially admires people who work hard and strive to succeed, and loves to photograph such moments of struggle and triumph, which is why he loves photographing marathons events. His images are delivered with as natural a colour as possible, and at the largest size possible, or as the client requires. He uses professional equipment including full frame cameras and high-end lenses. Andrew is always looking to fill his schedule with work. He specialises in editorial, commercial, and event photography. He can work both solo, or as a team leader finding assitant photographers, models, makeup artists, and local fixers. He operates in Asia, and speaks some Japanese, Korean, and Mandarin, and is of course able to travel to get the job done. Andrew's equipment includes a wide range of lenses from general purpose to specialty. He has a variety of flashes and light modifiers. He has guidebooks and a passport with landing-visa capability for most countries. Andrew's skills include portraiture, landscape, cityscape, and especially cultural event photography, which he enjoys best. 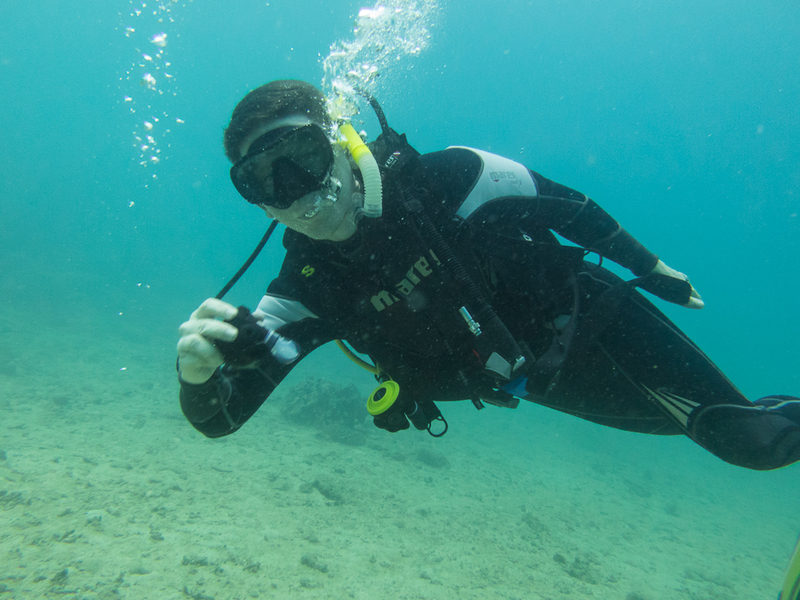 He also snowboards and scuba dives, and has underwater housings for his cameras. He has great cold-weather capability. When he is waiting in airports, he loves catching up on podcasts, ebooks, and Creative Live videos. Travel Photos Pty Ltd and Andrew Blyth have a commitment to social responsibility. We support Tree Nation in our commitment to reduce our carbon footprint, to support future sustainability, and reduce and reverse the effects of climate change. The two-birds logo is representative of our ethos: love, respect, freedom, and travel. TravelPhotos.Asia, JapanesePhotos.Asia, and HelloSpace.Me are websites owned and operated under Travel Photos Proprietry Limited, Australian Company Number: 631 935 049. 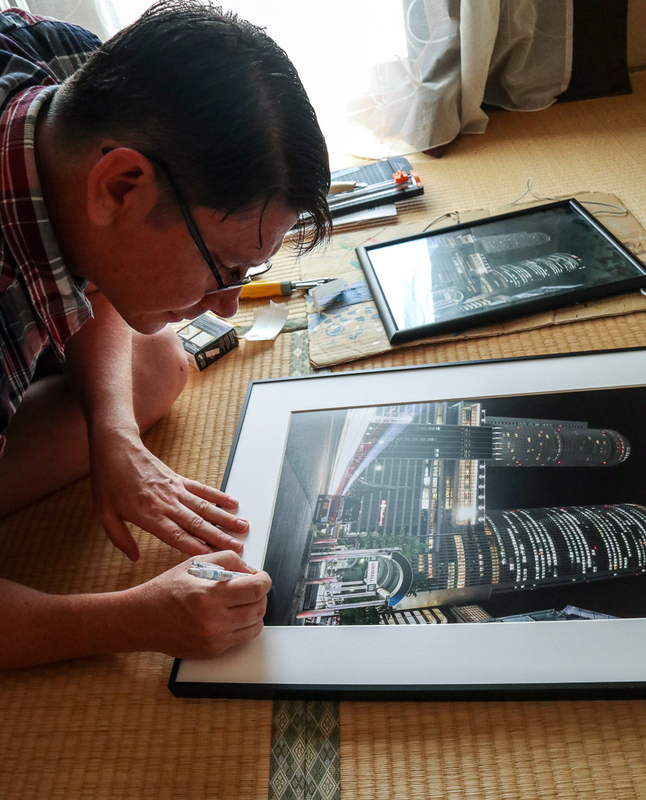 Andrew's previous main website "JapanesePhotos.Asia" is still maintained, but as his travel story continues and expands, he now operates beyond Japan and into the rest of Asia. Above: Andrew as an official photographer. Below, Andrew testing his Aquaman skills. 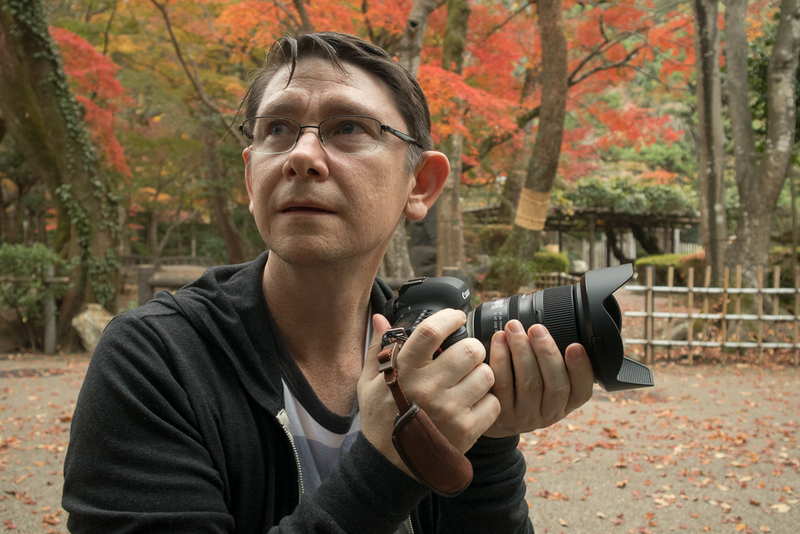 Above: Andrew photographing autumn leaves in Gifu Castle Park, Japan. 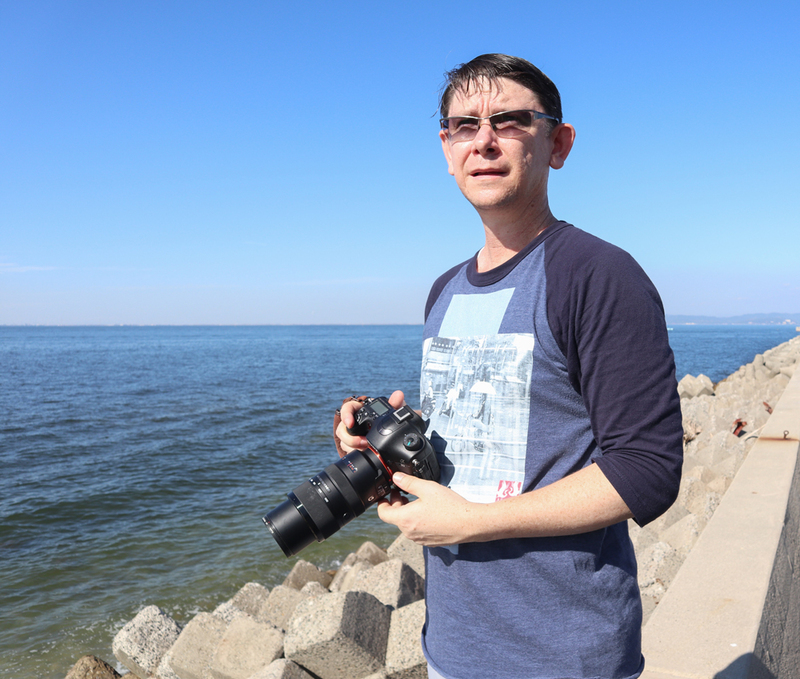 Below: Andrew photographing at Himakajima Island, Japan. Photography by Andrew Blyth. Travel & culture photography, specialising in editorial, commercial, and portraiture. © Travel Photos Pty Ltd, 2018-2019. Twitter | Instagram. Made and hosted on HelloSpace.Me.